ETF and IETA-UK & Ireland are committed to ensuring that your privacy is protected. Should we ask you to provide certain information by which you can be identified then you can be assured that it will only be used in accordance with this privacy statement. ETF and IETA-UK & Ireland may change this policy from time to time by updating this page and any changes will become effective immediately. You should check this page from time to time to ensure that you are happy with any changes. If we plan to use personal data for a new purpose, we will update our privacy information and communicate the changes to individuals before starting any new processing. This policy is effective from 25 May 2018. To improve our events, activities, products and services. GDPR applies to ‘Data Controllers’ and ‘Data Processors’ of an individual’s personal data. A Data Controller determines the purposes and means of processing personal data. A Data Processor is responsible for processing personal data on behalf of a data controller. GDPR applies to the processing carried out by ETF. The information will be used to periodically send promotional emails relating to ETF and IETA-UK & Ireland from our dedicated ETF/IETA email accounts and/or Mail Chimp, using the email address you have provided but only if you have given your consent or we are otherwise able to do so in accordance with applicable Data Protection Legislation. Emails may include information about events, news, activities, products and services and special offers or other information which we think you may find interesting relating to ETF – their courses, training and educational opportunities and relating to IETA-UK & Ireland – student /practitioner support, events, membership and get togethers. In addition to the previous use, IETA-UK & Ireland Membership will include postal confirmations, bi-annual magazine, and may include important circulars relating to specific ETF business and IETA-UK & Ireland membership. Where the law otherwise permits or requires it. Where we process your personal data because of our legitimate interests, these are our interests in managing our relationship with you; keeping internal records of attendance on ETF courses and all progress and achievement made on registered training courses; offering ongoing training and support to students and IETA-UK & Ireland members: sending out members’ magazines and ezines as well as news of ETF courses and IETA-UK & Ireland special events. We do our best to keep your data accurate and up to date, to the extent that you provide us with the information in the first instance. If your data changes (for example, if you move to a new house or have a new email address), then you are responsible for notifying us of those changes. Upon request, we will provide you with what personal information we hold, or process on behalf of ETF and/or IETA-UK & IRELAND. We will retain your information for as long as you are actively interested and/or involved in ETF/IETA-UK & IRELAND activities and courses or as long as needed to provide you with our services and/or support. We may also retain and use your information in order to comply with our legal obligations, resolve disputes, prevent abuse of the intellectual property of ETF and enforce our Agreements. Attendance on courses and qualifications gained will be held for long term future educational reference. Under common law and in accordance with Insurance agreements we may need to keep some records for seven years. After this time your personal contact may be securely deleted. 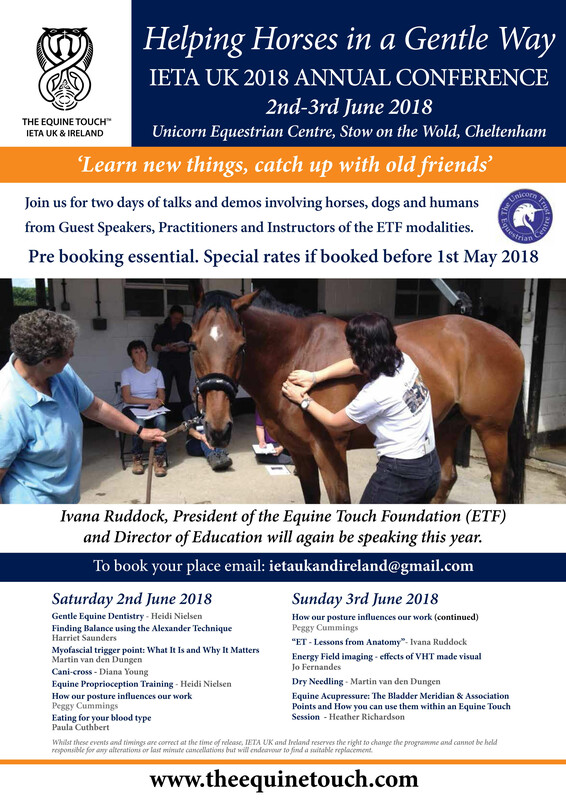 You may request details of the personal information which we hold about you by contacting us at: ukcentre@theequietouch.com or ietaukandireland@gmail.com. We will aim to respond within a reasonable timeframe and in accordance with any applicable law. There is no charge for an individual to access or update their personal information. If you believe that any information we are holding on you is incorrect or incomplete, please write to [Admin, 106 Ballyregan Road, Craigantlet, Holywood, BT18 9RP] or email us as soon as possible, at the email above. We will promptly correct any information found to be incorrect. We take all reasonable and appropriate measures to protect personal Information from loss, misuse and unauthorized access, disclosure, alteration and destruction, taking into account the risks involved in the processing and the nature of the personal information. Remember that no method of transmission over the Internet, or method of electronic storage, is 100% secure. Once we have received your information, we will use procedures and security features to try to prevent unauthorised access. We cannot guarantee its absolute security. If you have any questions about the security of your personal information, you may contact us at ietacompliance@gmail.com. All our electronic accounts require a username and password to log in with access limited to specific personnel only. Files are backed up in an external hard drive and in dropbox, with paper records stored in locked filing cabinets. We will not sell, distribute or lease your personal information to third parties. Information may be provided to Law Enforcement Agencies if we are required by law to do so. As ETF and IETA-UK & Ireland are constitutionally linked, your personal information may be transferred between and within the two organisations for purposes mentioned earlier. It is your responsibility to ensure that your computer is virus protected. Neither ETF nor IETA-UK & Ireland can accept responsibility for any loss you may suffer as a result of accessing and downloading information from us or from our web sites. Provide a point of liaison between members of the Association and The Equine Touch Foundation. At an extraordinary meeting of the Association on 13 March 2011 IETA-UK was renamed IETA-UK & Ireland. 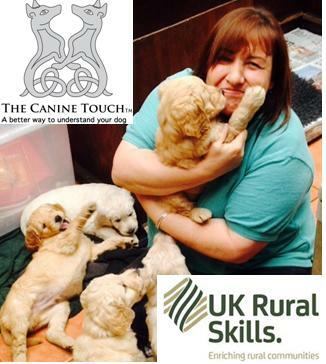 From 8 April 2014 three subsidiary sections were made within the Association, each representing the modalities: Equine Touch Association (ETA), Vibromuscular Harmonisation Technique Association (VHTA) and Canine Touch Association (CTA). The subsidiary sections allow for individual variation and expansion within each section and to identify Members’ and Graduates’ area of study mETA, mVHTA, mCTA. All three subsidiary sections are governed in all aspects by the parent Association. only share the information with people within IETA-UK & Ireland and ETF and any other organisations necessary to carry out the organisation’s activities. only keep the information while the individual is an interested party, a member or ETF Student or as long as necessary for legitimate interest, membership records; ETF student /educational administration and records; to comply with legal obligations and to enforce our contractual agreements.